This post is sponsored by OXO. All opinions are my own. 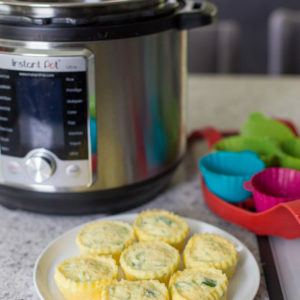 You can cook egg muffins in the oven or with sous vide, but my favorite way is in the Instant Pot! It’s the fastest method I’ve found, and they come out tender and perfectly cooked every time. 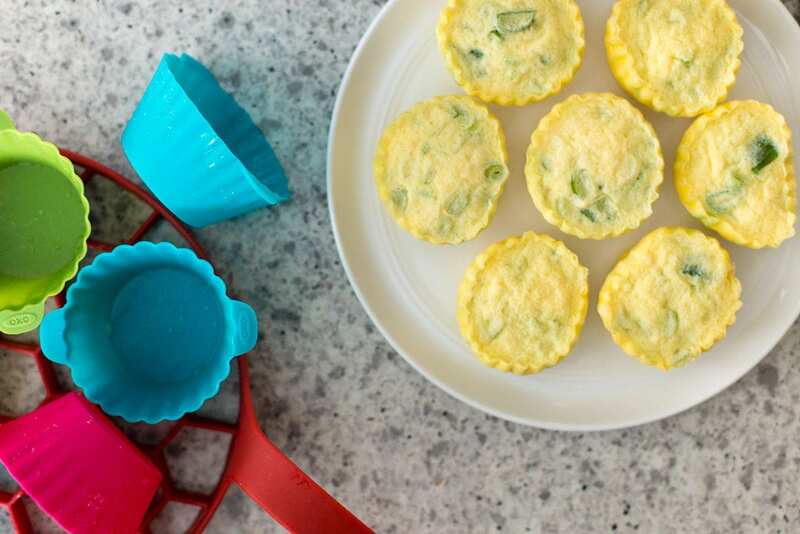 One or two egg muffins make an awesome, protein-packed breakfast or afternoon snack. They’re filling, cheesy, and even low-carb/keto-friendly — each muffin has just 2g net carbs. What’s not to like? 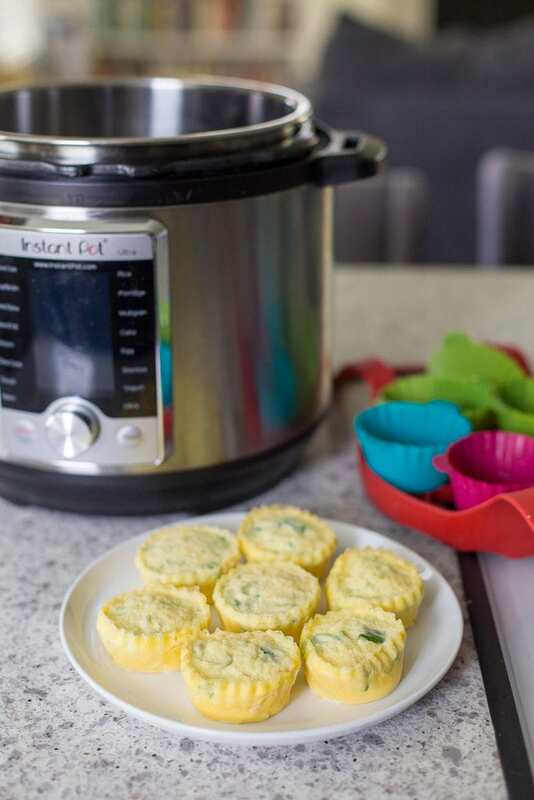 I’ve made egg muffins in just about every small container that fits in the Instant Pot. 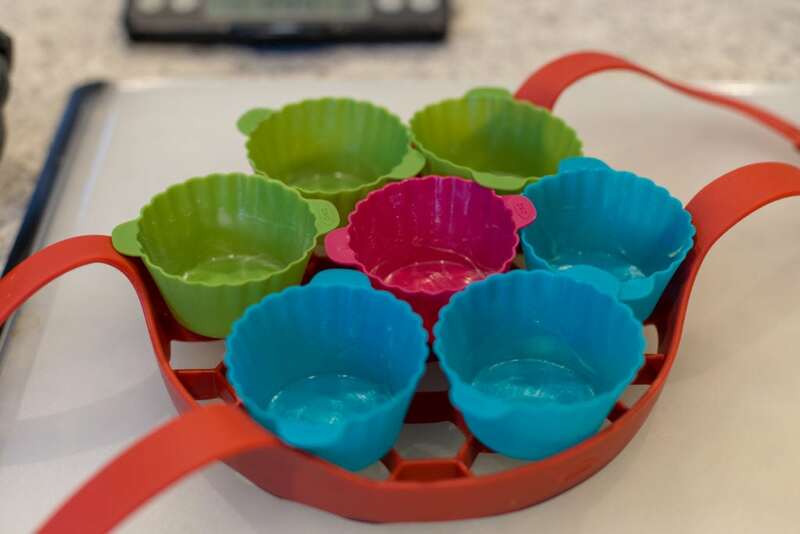 I’ve used ceramic ramekins, silicone molds, and glass jars, but my favorite tool so far are the OXO Good Grips Reusable Silicone Baking Cups. 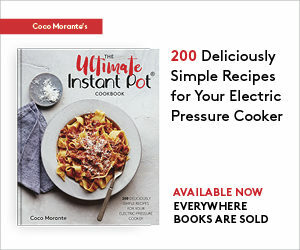 You can fit 7 of them on top of the Pressure Cooker Sling, and once the muffins are cooked, the flexible, non-stick material makes them so easy to unmold. They pop right out without any effort. 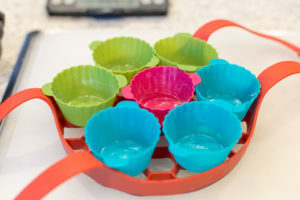 And of course, the baking cups are super versatile. You can also use them in the oven, for muffins or cupcakes. They take up a whole lot less space than a muffin pan, so they’re great if you’re short on storage! But back to those egg muffins . . . the version I made for this recipe is super simple, with a filling of green onions and shredded cheese. You can substitute whatever you’d like — just think of what your favorite omelet, quiche, or frittata ingredients are and go from there. 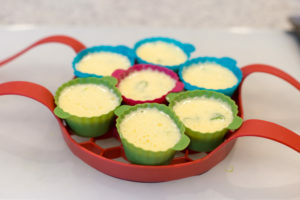 Sprinkle a tablespoon or two into each baking cup, pour in the egg mixture, and steam them up! Eggy, cheesy, two or three-bite muffins make a fast breakfast! Grease the baking cups with the butter, making sure to coat all of the ridges. They’ll unmold easiest when the cups are well-coated. 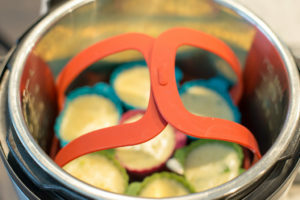 Place the greased baking cups on top of the Pressure Cooker Bakeware Sling. 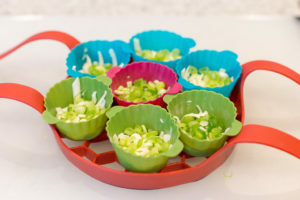 Sprinkle the grated cheese and green onions into the baking cups. 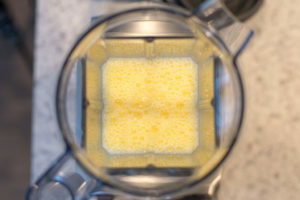 Blend the eggs and Laughing Cow cheese in a blender on medium-low speed for about 30 seconds, until thoroughly combined with no flecks of cheese remaining. Pour even amount of egg mixture into the cups. It should go just up to where the cups turn from shiny to dull (that’s the max fill line). 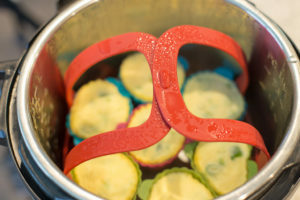 Holding the handles of the pressure cooker sling, slowly lower it into the pot, taking care not to tip over the baking cups. Clasp the ends of the sling together. 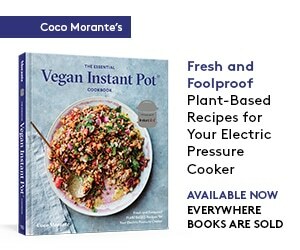 Open the pot. The egg muffins will have puffed up quite a bit, but don’t worry -- they will settle back into the baking cups as they cool. 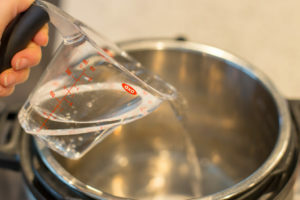 Wearing heat-resistant mitts, unclasp the sling and lift it out onto the counter. 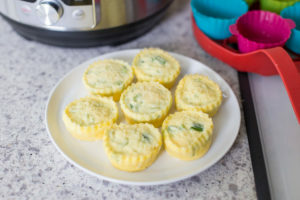 Let the egg muffins cool for a couple minutes, until they are comfortable to handle. Pull the sides of the baking cups away from the muffins to unmold them, then serve warm. They’ll also keep, refrigerated, for up to 3 days.